These three little guys just loved horsing around and following me as we checked out the school in the village in Nichnamtic, Chiapas, Mexico. They wanted to see every shot that I made on the little screen on the back of the camera. I think I had more fun on this day than they did. The paper in their hand is a sketch that they did. You can just feel the life, love and hope in these kids. 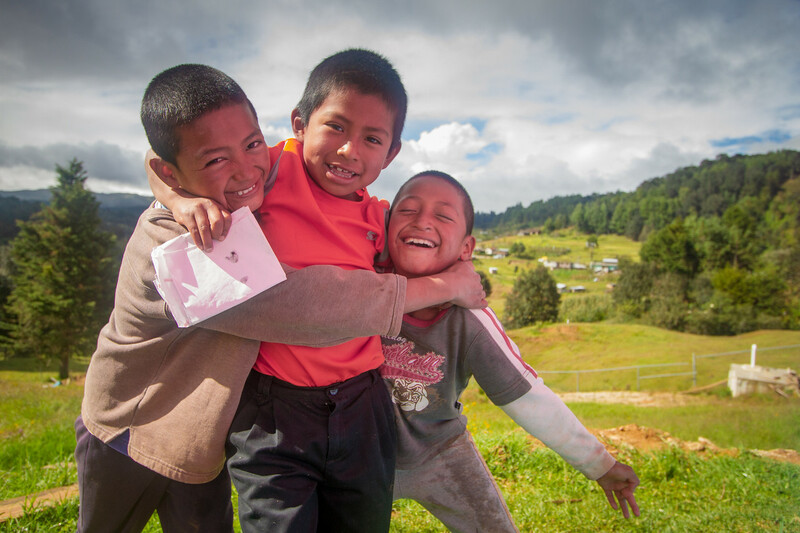 Now that Escalera has completed six new classrooms in their village they have a little more hope of escaping the crushing poverty that they live in but there is always so much more to do.